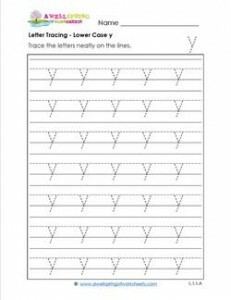 Tracing lower case y is easy. You’ve traced lower case v and w. You’ve got the slanted line perfected. Now just pick up your pencil and trace the second line going down below the baseline.